James Robert Charlton was born in 1881, son of Charles Edward and Elizabeth Charlton. In 1915, he married Georgina Victoria Rose Harris at Woollahra. James Robert Charlton died at Paddington in 1938. He was Presbyterian. Note that genealogical information requires further research for confirmation. James Robert Charlton was a clerk before he served as a Corporal with the 2nd NSW Mounted Rifles in the Boer War. a member of C squadron of that unit. Charlton was promoted to Sergeant on 19 May 1901. From 1912 he was Captain of the 5th Brigade at Auburn, Sydney. When he enlisted for World War 1 in October 1915, his address was the Metropole Hotel and he described himself as a business manager, aged 35 years. He served as Major of the 20th Army Service Corps, Headquarters Company, 2nd Divisional Train, being twice mentioned in despatches. After the war he was Commander of the newly organised Division Train. He gained the rank of Lieutenant-Colonel. By 1932 he was living at Cook’s Hill, Newcastle, NSW, and was a member of the Hamilton RSL. Charlton was an Alderman with Granville Council for five years and was the Mayor of Granville for two years from 1913. 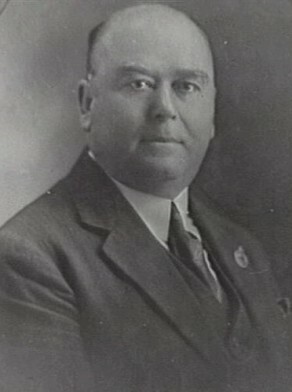 James Robert Charlton was Alderman for Flinders Ward, 1 February 1921 to 30 November 1924. He was a member of the Works Committee, 1922-24; the Health and By-Laws Committee, 1922-24; and the Electricity Supply Committee, 1922-23. City of Sydney Archives: Aldermen’s Files; Photo: CRS 54/156.